The Midshipman Computer Repair Center (MCRC) provides professional IT services and repairs to the Brigade of Midshipmen for their issued computers. All repairs are performed by OEM certified technicians, with same-day turnaround in most cases. 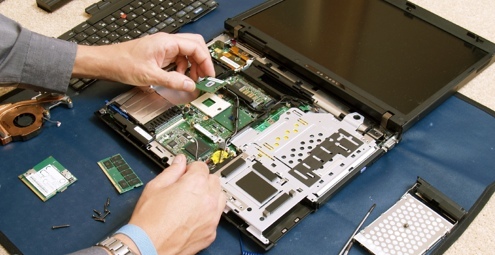 Any and all warranty hardware repairs performed by manufacturer certified technicians. 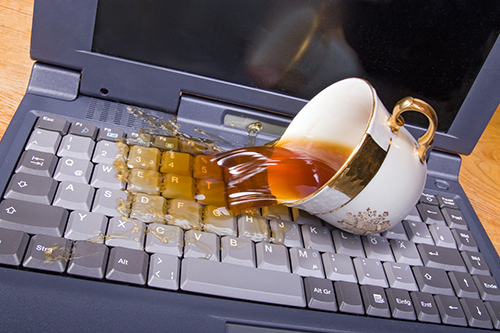 Accidental Protection Service performed, covering drops, spills, cracked screens and other non-warranty issues. Complete reloads, providing a clean install of the OS and Office with up to date security features. Graduation reloads for First Class. Provides a clean civilianized install of the OS and Office, removing all Academy network settings. April/May time frame. Most repairs completed within two (2) hours! All Services covered by Midshipman fees. No additional charges apply. Does the MCRC fix printers? Unfortunately No the MCRC does not fix printers. Your printer usually comes with a warranty from the manufacturer. Visit their website for further details. After that you are looking at buying another one. While each repair is different, our goal is to have your machine ready in two hours. Service is completed on a first come first served basis. Can the MCRC reset my password or unlock my account? No, the MCRC does not have the ability to reset passwords or unlock accounts. You can help yourself by joining the password portal (https://intranet.usna.edu/PasswordPortal/) otherwise you must report to the ITSC in Ward Hall for assistance. We suggest keeping it simple and copy and paste your data (pictures, papers, music…) to an external device or cloud storage solution. If you are not sure how to use a particular kind of backup software, we recommend you do not use it. How does most physical damage occur to the laptops? Simply put, by abuse. Laptops tend to be treated like a textbook, not like the $2000 piece of fragile electronics that they are. Jamming your laptop in your backpack is not good. Please use the separate carrying case. Will the MCRC backup my data? No. Your data is your responsibility. The MCRC does not know what is important to you but we highly recommend backing up your data regularly. Can the MCRC put my personal computer, tablet, phone.. on the USNA network? How did this malware get on my computer? Even if you are technically literate and you have all the prevention software, McAfee for a virus killer and a physical or software firewall, you are still likely to get infected at some point. So how do they slip by all your protection software and infect your systems? Quite simply, you let them in somehow. Chances are that it was though free software you downloaded at some point. My computer was lost or stolen; will the MCRC give me a new one? No, the MCRC will repair your computer under the manufacturer’s warranty, usually 4 years. The manufacturer’s warranty does not cover lost or stolen equipment. I lost my power cord, battery, cable, etc. Can I buy a new one from the MCRC? No, the MCRC does not have extra stock to sell, lend, or give away. We are not set up to sell anything. Phone for MISLO on duty.